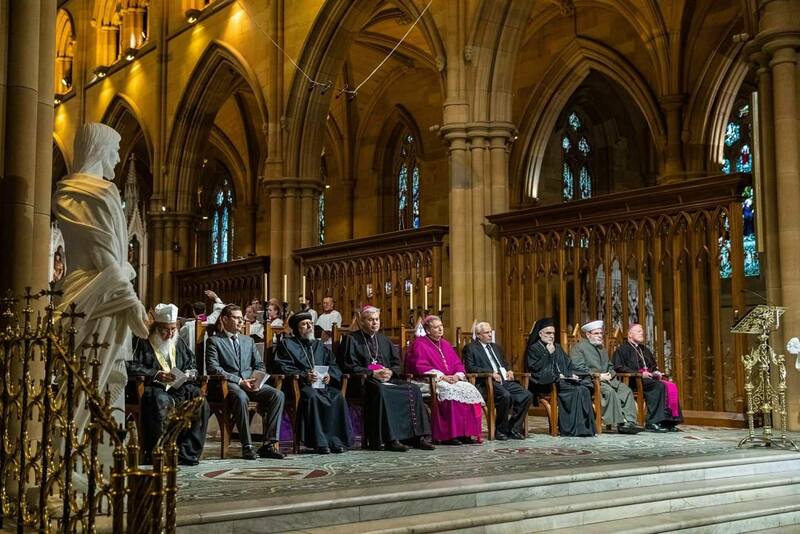 Religious Leaders of Sydney gathered at St Mary’s Cathedral to pay their respects for the lives lost at the Christchurch Massacre. 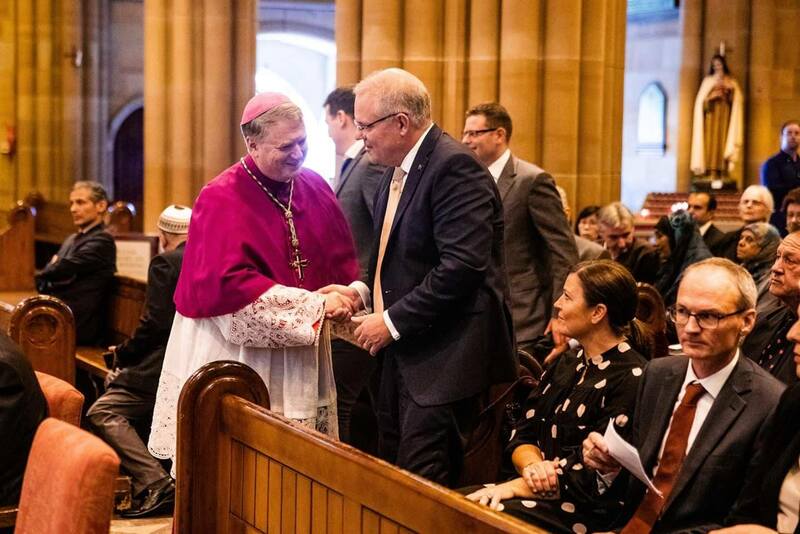 On Sunday 17th March 2019, Religious and Political leaders gathered at St Mary’s Cathedral, Sydney as a sign of unity and solidarity to pay their respects to the lives that were tragically lost following a terror attack at Christchurch, New Zealand. The Archbishop of Sydney: Archbishop Anthony Fisher OP welcomed Australia’s Grand Mufti: Dr Ibrahim Abu Mohammed and Australian Prime Minister: Scott Morrison to pay their respects and said that while it was important to come together in solidarity after the tragedy it was just as important to unite with people of all faiths in a common commitment to peace. The Grand Mufti Dr Mohammed thanked the Archbishop and all the attendees for supporting the Muslim community in New Zealand and Australia at a “most difficult time” and to help foster healing from “torrents of pain”.